I can say this is one of the desert that I love to eat after a good meal. Who doesn't right? I think for those who are a chocolate lovers like me, I must say this is a must desert every after meal. But wait! We also watched out with the calories that we intake, and plus the high risk of having a diabetes if we don't watch out.. 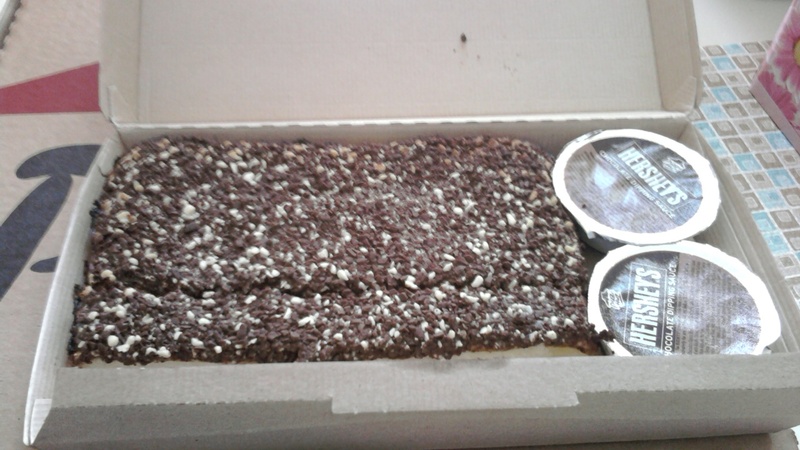 I am, that's why after eating two slice of this Dunkers from Pizza Hut, it was also brought for me by my wonderful husband. I remember the first time I tried this food. I got addicted and I kept asking my hubby to brought me some if he can whenever he works in Pizza Hut. I wasn't aware of my weight before, however it gave me a pretty high weight. That's why, I told myself to eat moderately, in order to maintain the weight I want. so true, for some reason it is so hard to get lose the exists weights we gain then we are in philipines.